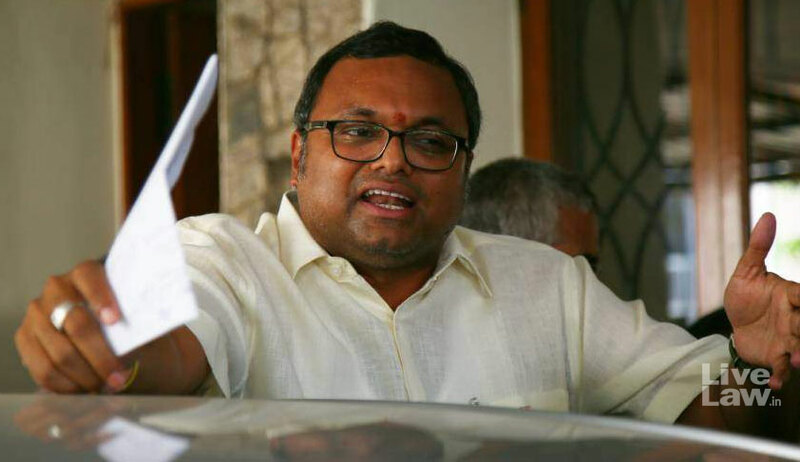 Karti Chidambaram, son of former union minister and senior Congress leader P Chidambaram, was arrested by the CBI on Wednesday morning for committing alleged irregularities to obtain FIPB clearance in favour of INX Media Ltd when his father was the Finance Minister during the UPA government. Karti was arrested at Chennai airport in the morning soon after he returned from his trip to London. The CBI, which interrogated Karti several times earlier, accused him of receiving kickbacks from the television company INX Media to get Foreign Investment Promotion Board (FIPB) clearance to receive overseas fund of over Rs 300 crore. Karti had allegedly used his father’s position for this favour. Last week, P Chidambaram had knocked the Supreme Court door seeking protection to his right to privacy and live with dignity while alleging that he and his family were the victims of political vendetta. He referred to cases registered by the CBI and the Enforcement Directorate (ED) against his son in connection with INX Media. He accused the BJP-led NDA government of targeting him and his family. The Supreme Court is also hearing a batch of CBI pleas, including the challenge against Madras High Court order which had stayed its Look Out Circular (LOC) issued against Karti. An LOC alerts all airports to stop a passenger from traveling abroad. It was issued against him as the agencies suspected that he would try to close the foreign accounts where he had parked the money from the kickbacks. In November last year, the court had allowed Karti to go to the UK for his daughter's admission in the Cambridge University. In the meantime, Karti got permission time to time from the top court to travel abroad. The court, however, granted no relief to him on his arrest. Recently, Karti moved an application questioning the ED’s summons against him. He said since the CBI is investigating the case, ED’s summons is only to harass him. “The instant case is a classic case of abuse of powers. If the ED is allowed to continue to issue summons to the applicant for about 10 hours when the scope of the investigation has limited scope it will result in miscarriage of justice,” as stated in the application while seeking a restraint order against ED. While hearing the application on last Friday, the apex court had refused to stay the summons issued by the Enforcement Directorate in a case registered by it under the Prevention of Money Laundering Act. The court had asked Karti to appear before it on March 1 (tomorrow) and make a request for more time. The CBI FIR, lodged on May 15, 2017, had alleged irregularities in FIPB clearance to INX Media for receiving overseas funds to the tune of Rs 305 crore in 2007 when Karti's father was the Union Finance Minister. The FIR was registered before a special CBI judge and the registration of the case was followed by searches at the residences and offices of Karti and his friends the very next day.